With temperatures dropping, homeowners are resuming their seasonal quest to get the most heat for the least money. If you have a fireplace that’s inefficient, you might want to consider installing a fireplace insert. Most are considerably more efficient than the fireplaces they replace. The best way to vent an insert is into a stainless steel liner that extends through from the top of the stove through to the top of the existing chimney. That setup provides the highest efficiency, plus it’s easy to inspect and clean. Though you can also vent the stove insert into the existing chimney, it’s a bit trickier. That’s because the proportions of the chimney may not match up with the size of the insert. If that’s the case, the chimney won’t draft properly; besides getting smoke in your eyes, you’ll also get a rapid buildup of flammable, acid-laden creosote in the chimney. 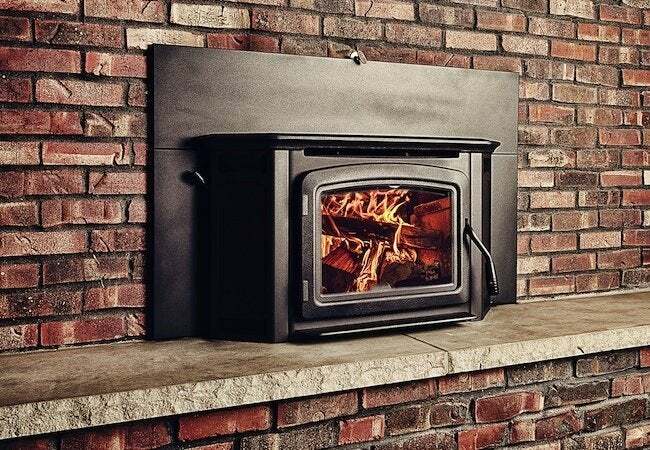 A chimney liner that’s matched to your fireplace insert is a solid investment that helps keep your home toasty and safe.